Dromeosaurus sp. Currently these are not named species. Many names have been given to these teeth over the years in literature though. Deltadromeus, Deltadromaeosaurus, Dromaeoraptor. 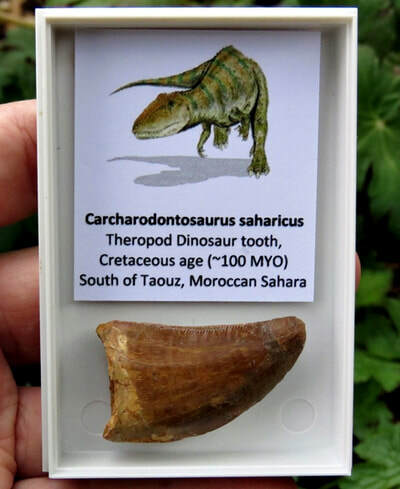 But there is no definitive species name attributed to these teeth and are likely to belong to many species, despite sharing similar tooth characteristics. 'Dromeus saurus' means "Running Lizard". 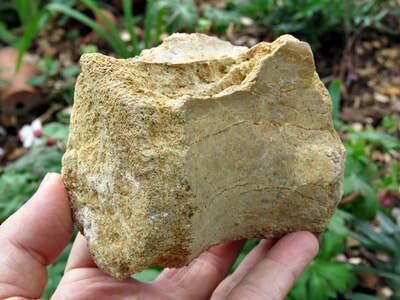 All teeth are found in the Moroccan Sahara Desert, Tegana formation, Taquiz, Ksar-es-Souk region, Morocco. 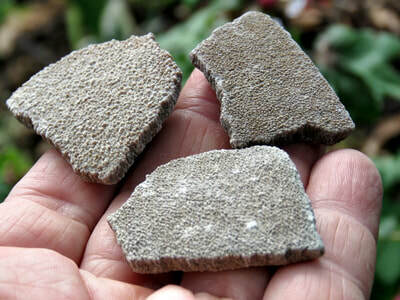 They are around 100 Million years old. 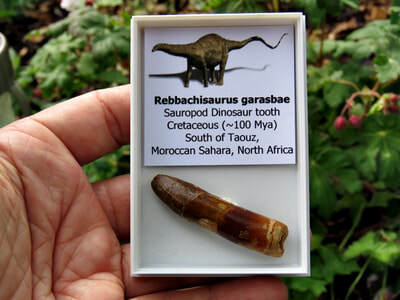 Carcharodontosaurus saharicus is assigned to the Theropod Carnivore Dinosaur group. Name meaning: "Shark tooth Lizard". 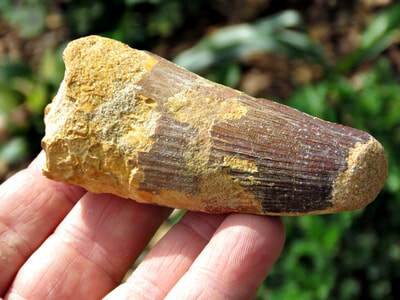 All teeth are found in the Moroccan Sahara Desert, Tegana formation, Taquiz, Ksar-es-Souk region, Morocco. A relative of the North American Allosaurus. They are around 100 Million years old. 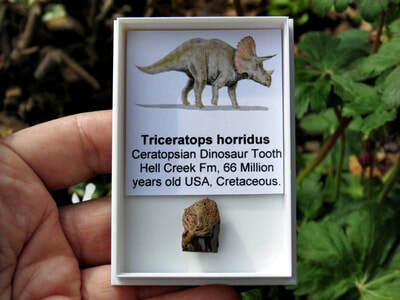 Even though some don't have tips, probably because of the way these teeth chomped on juicy bone and meat, they are still highly collectable in any kind of condition. ***Study grade teeth are all repaired or have damage, but are great for children or beginners and therefore less to worry about than with collector specimens. Good value and come in gift boxes and labelled*** Above artwork by Nobu Tamura.